The new bi-metallic, 12-sided One-Pound (£1) coin which was launched on 28 March 2017 has now reached a production of one billion. It’s time to get rid of the old pound coins. A billion coins may sound plenty but the Royal Mint are committed to minting 1.5 billion in order to replace the existing round pound coins. At 31 March 2016 it was estimated that there were 1,671,328,000 pound coins in circulation so that’s just over 20 for each person in the UK. Out of interest, there are over 30 billion coins of all denominations in current circulation giving us enough loose change for about £4.6 billion. To reach that production, the Royal Mint have been working ten presses 24×7 making 140,000 coins per hour. It takes a long time to restock the entire country and that’s why you’ll find the new coins dated 2016 and 2017 despite not being legal tender until March 2017. The new £1 coin was created to counteract the growing number of counterfeit (forgeries) in circulation which was estimated at about 1 fake pound in every 30 coins. The new one pound coin is highly sophisticated and brags many security features. Get rid of your old pound coins! At the moment, new and old pound coins co-exist but the old pound coins will cease to be legal tender on 15 October 2017. Unlike banknotes which have a guaranteed face value for all time, once a coin is no longer legal tender then you have lost your money! After that you may find some banks willing to exchange them for a short time but be careful if you have a big stash of them in your piggy bank or squirrel box; it’s time to get rid of them. The old coins are being melted down and are recycled towards making the new pound coins. 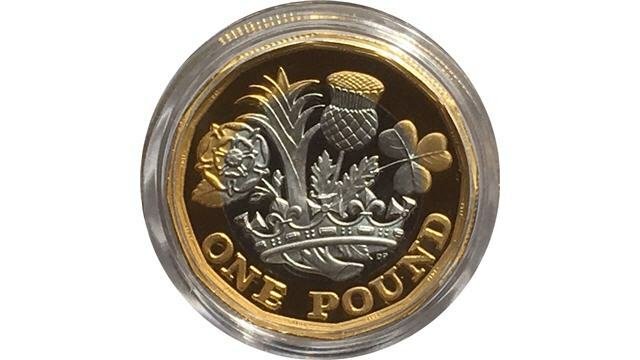 For more £1 coins, see our main topic on One Pound Coins.